Worklog analisys is a tool designed for both analyzing and managing worklog. You will find it in the timesheet menu. Compose a filter and press “search” button. 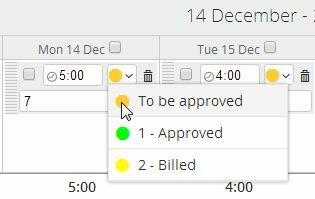 You will get the list of work log matching your filter. As usual you can store you preferred filters for future uses. At the end of the page, totals are reported both in hours and as cost. You can edit every line in order to fix timing, insertion dates, or descriptions. Actions appear that allow to bulk change worklogs. 6) In “worklog for assignment”. Another useful tool for monitoring worklog is Timesheets overview. This tool is designed to find days where work log is absent, below or over the total per day . The legenda will tell you which days have insufficient, missing or too much work logs. You can also check the worklogs in a group using the workgroup tool. And also through the resource editor, if you have the rights to do so. Click on the colored status little box, and pick the status you want to bring the worklog to. 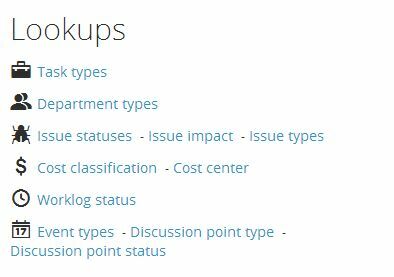 So here you can do not only worklog classifications, but even bulk moving to task and date operations. The resulting page can of course be printed. Click “worklog status” and there you can create them. And the print function has been expanded accordingly. Who can approve worklog? There is a new permission “worklog management” local to projects, which lets “manage worklog, approve it, bill it”: you probably should enable it on project manager roles.